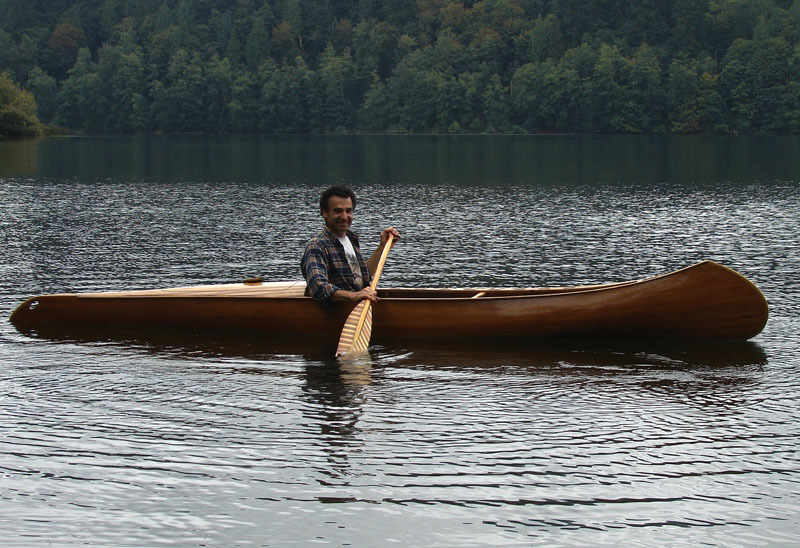 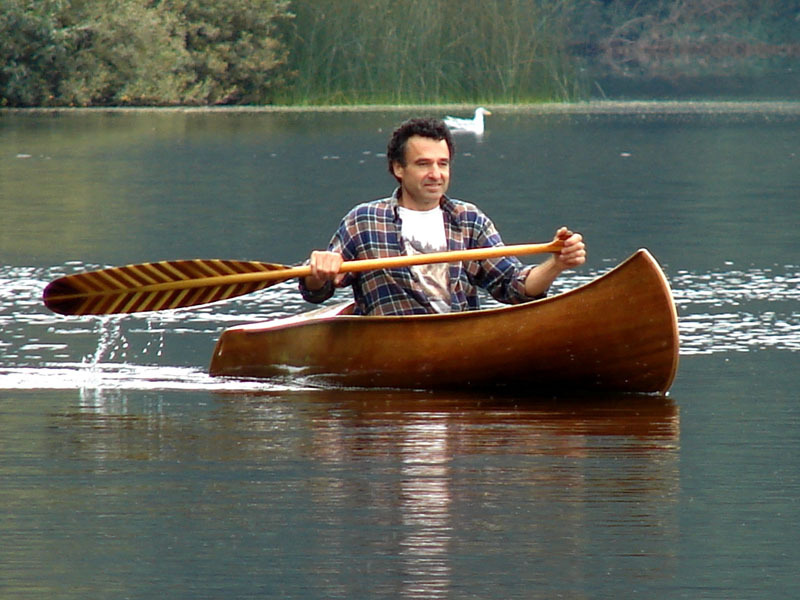 The Wahnooyak is a new hybrid canoe/kayak watercraft design in woodstrip/epoxy/glass. 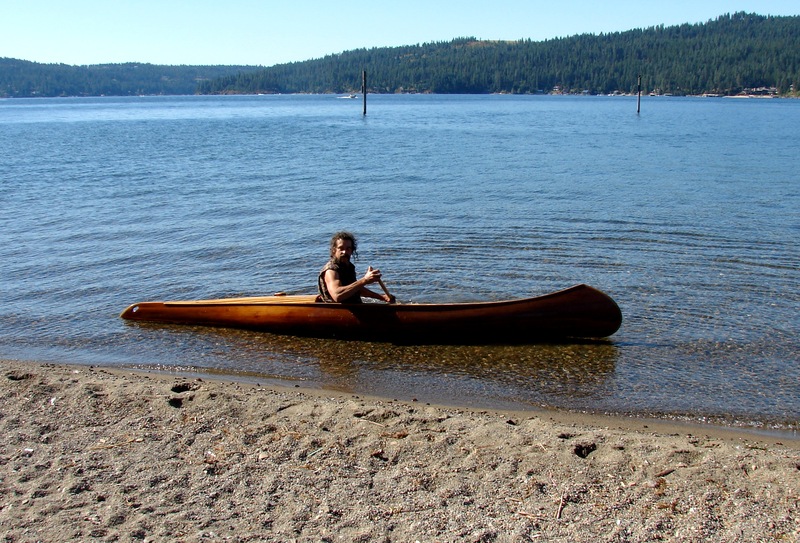 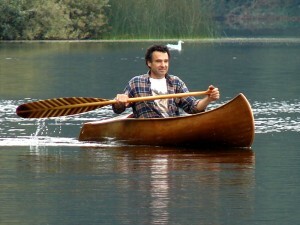 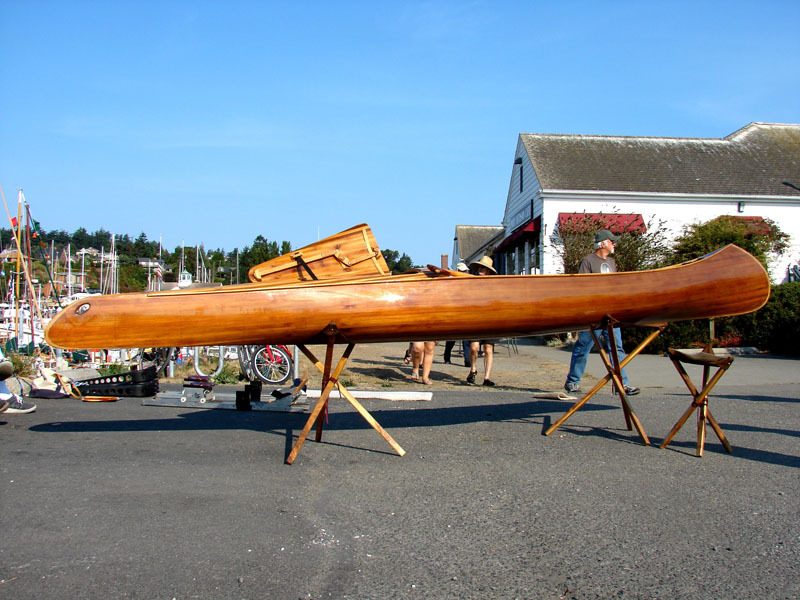 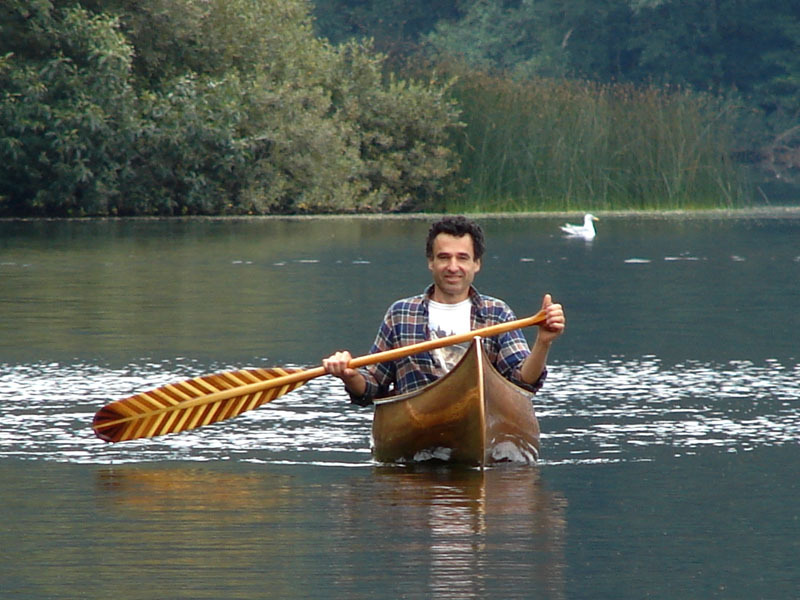 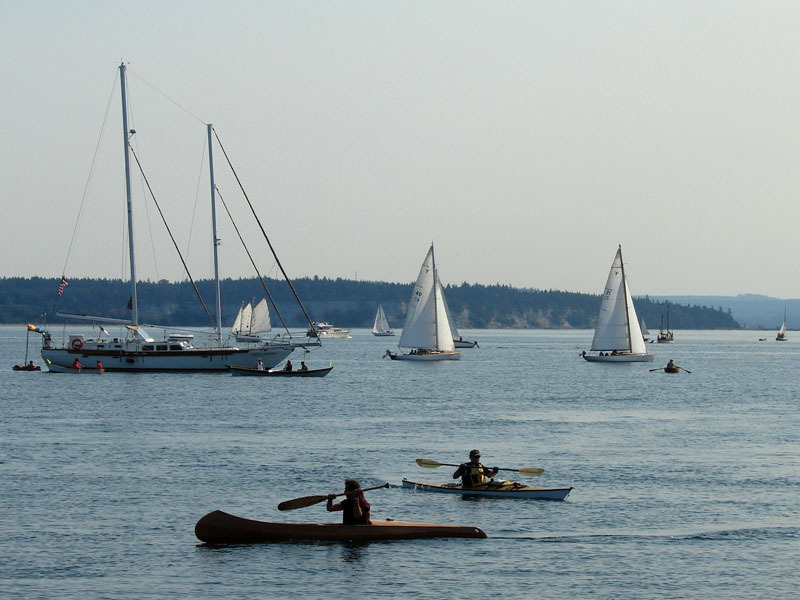 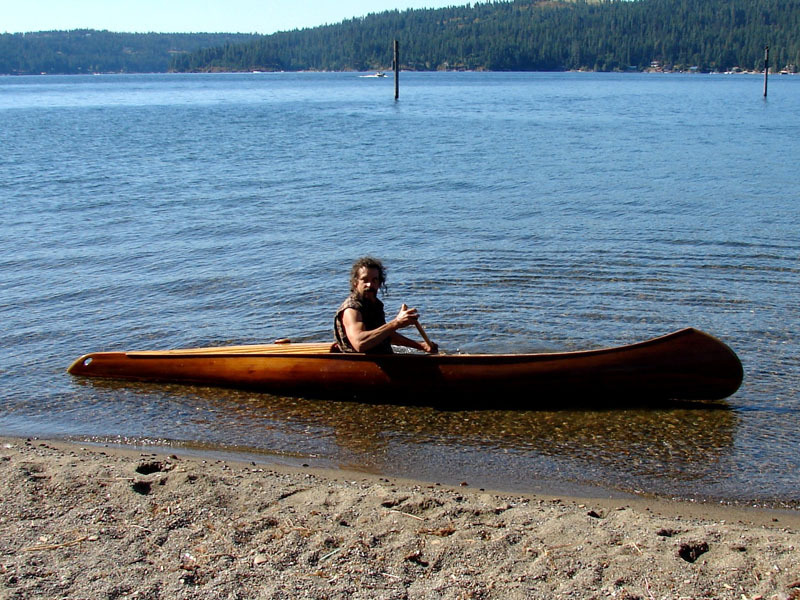 The current “Soli” model is an open solo canoe from the bow to the seat amidships where the sealed deck of the kayak stern begins. 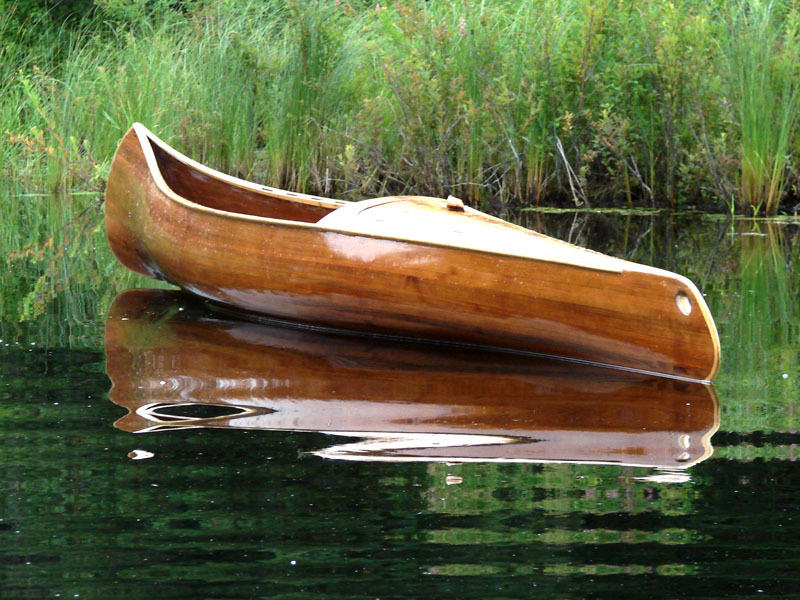 The bow is styled after the Ojibwah canoe and features fine entry lines. 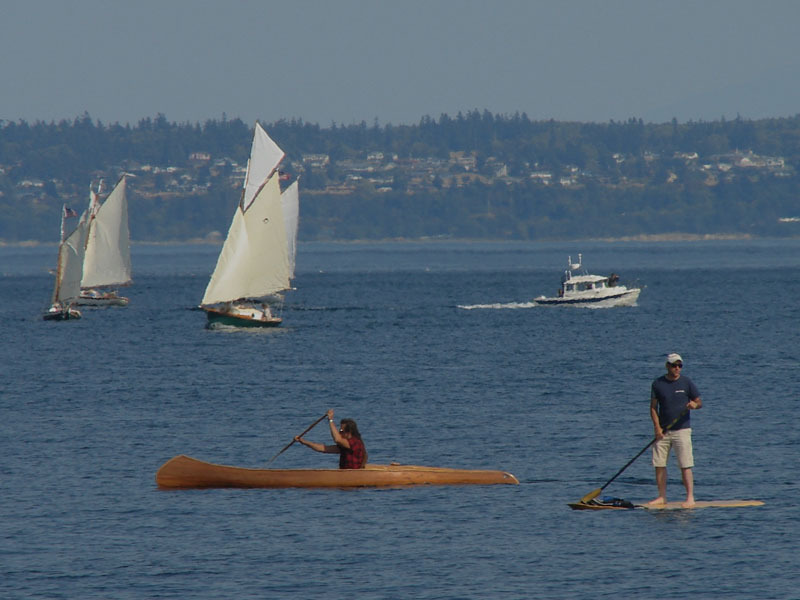 The shallow arch design combined with moderate rocker and tumblehome maintains hull integrity while the narrow beam gives an efficient flat water touring/cruising craft for a solo paddler. 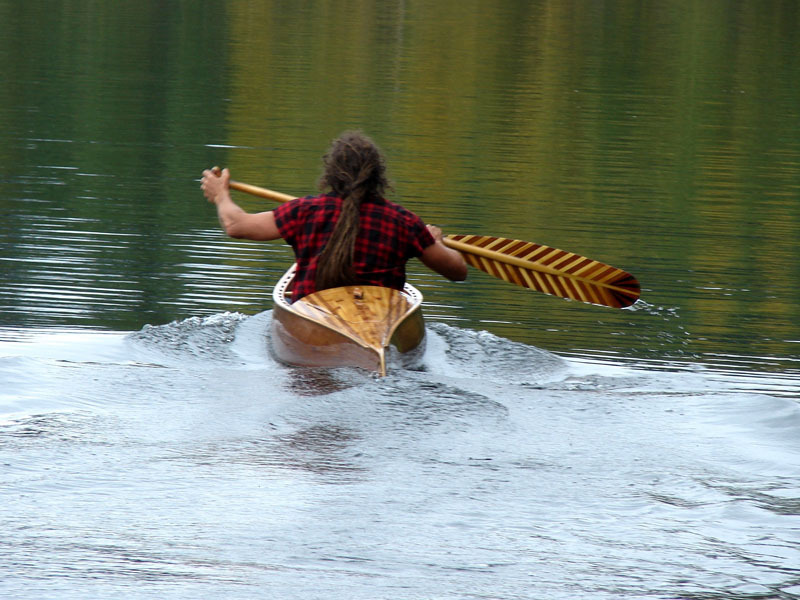 The long, fine exit stern closes the displacement well and provides good tracking. 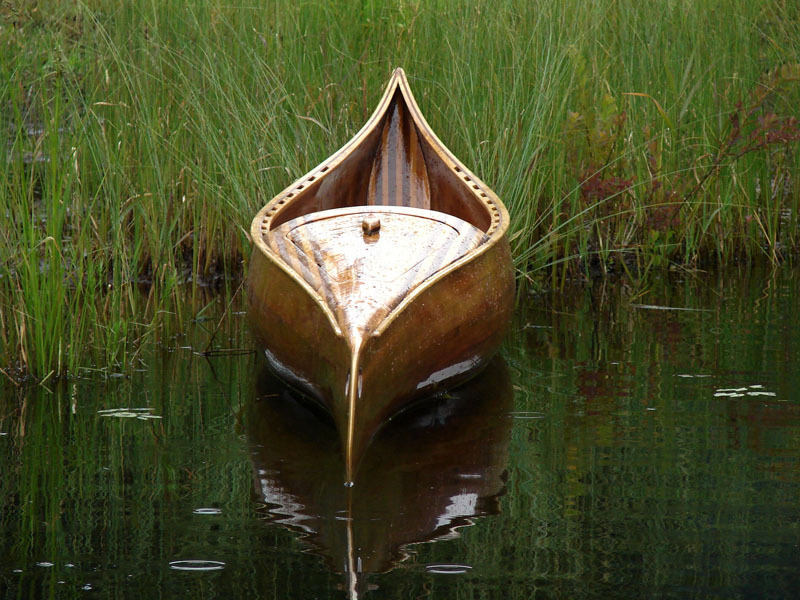 The center of buoyancy forward of center design emulates nature’s creatures and keeps the bow up in the waves and the stern down and out of the wind. 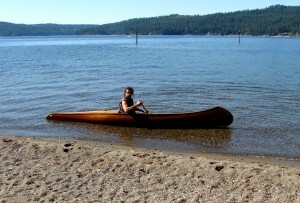 Inside the kayak stern is ample dry storage for touring/camping gear accessible by a hinged, sealed hatch with a unique, convenient latch mechanism. 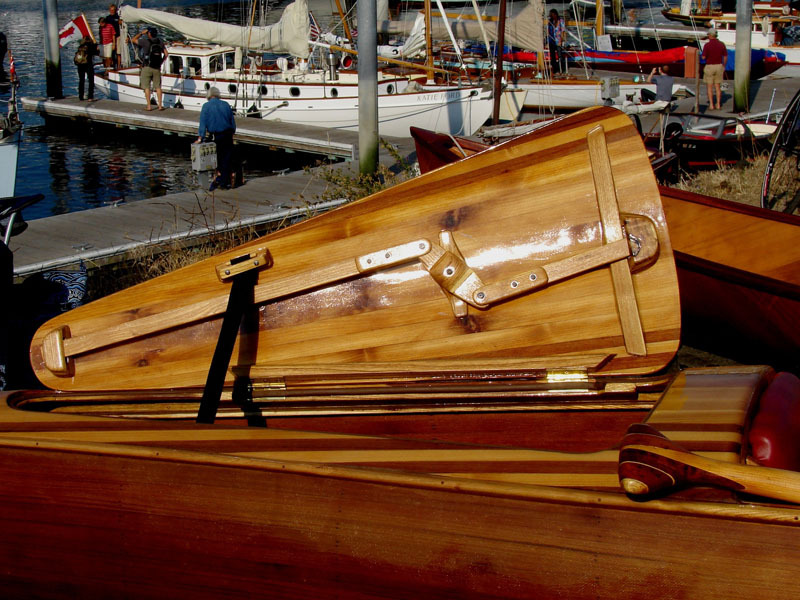 Trim includes a foredeck, bow handle and scuppered gunwales and a thwart. 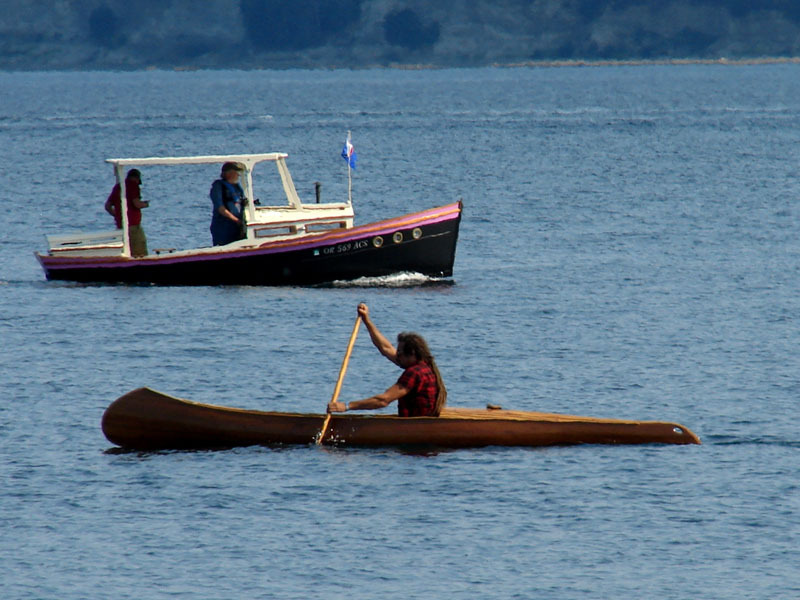 The sealed stern combined with a bow partition offer ample floatation should the Wahnooyak Soli ever become swamped.